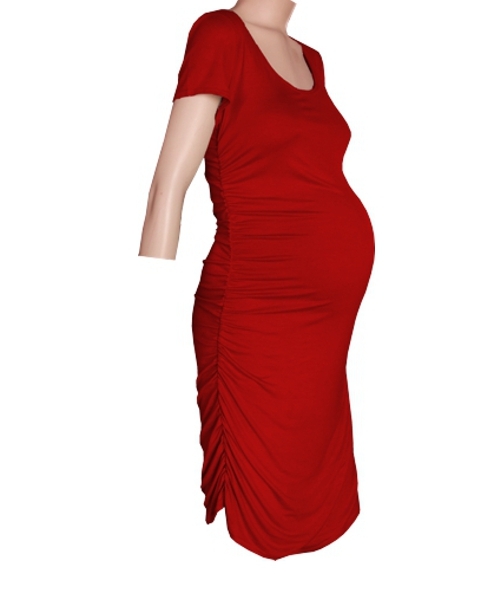 Our Gathered side maternity dress in black is form fitting and oh….so flattering. Its manufactured in a super stretchy viscose lycra. The mod classic preggy style is supremely comfortable and flattering!